Wisconsin State Record Brown Trout caught in August, 2004 Algoma Wi. 5th largest Brown ever caught in the world! 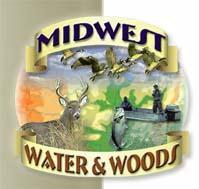 Home of Two Wisconsin State Fishing Records! 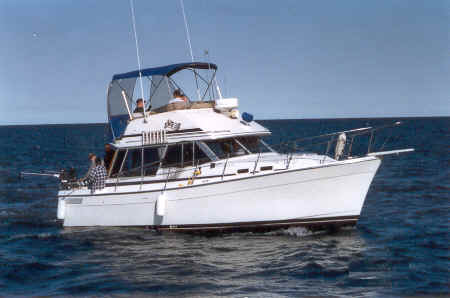 33' Trik Sea II - Sport Fishing In Style! 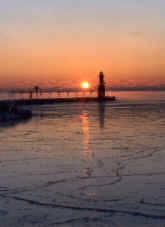 Legendary in the annals of Great Lakes Sport fishing, the waters off this Lake Michigan fishing port are located on the western shore of WI. 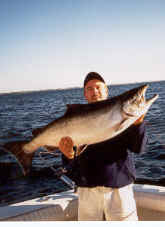 This charter fishing city - Algoma, teems with a large variety of lunker Trout and Salmon. That’s the bonus of fishing Algoma, WI. Your options are not limited to one species. Since all species of the following fish are not only excellent table fare, they also put up a reel burning, arm throbbing fight. Whether you are King Salmon fishing, Steelhead fishing (rainbow), Lake Trout fishing, or Brown Trout fishing, a variety package of fresh fillets will be heading home with you. Your memories will be on your camera, as well as on your grill. 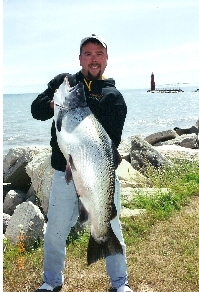 Lake Michigan Fishing Charters in Algoma, WI has the largest and most experienced charter fleet on the lakeshore, and is home to many Wisconsin state record fish, two of which are held by Trik Sea Charters, LLC. 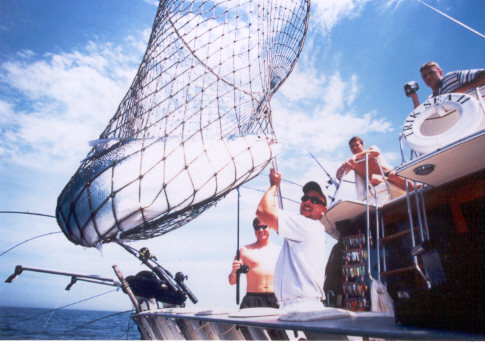 When considering booking a charter fishing trip, look no further than Trik Sea Charters, LLC. Captain Andy Guth, an Algoma native, began his fishing career in 1980, specializing in Lake Michigan trophies. Andy continually monitors the weather, fish response and conditions to ensure your lake trout, brown trout, steelhead (rainbow trout) and salmon fishing experience is productive, safe, enjoyable and comfortable. Working as a 6th grade school teacher in the off-season, Andy enjoys conversations with kids, parents and grandparents, showing them a time they won’t forget aboard the Trik Sea II. I can be reached daily if you are looking for an updated Algoma fishing report. Charters aboard the Trik Sea II offer the ultimate in fishing success and accommodations. Trik Sea II Charters, LLC tops off your experience with a knowledgeable crew and luxury accommodations in beautiful waterfront condos. River’s Edge Condos are located adjacent to the boat, a mere 50 feet away. We offer 2 bedroom - 2 bath, or 3 bedroom - 3 bath condos to support any size group. Besides full kitchens in each unit, outdoor grills are available on site as well. Where else do you go on Lake Michigan and have such easy access to everything you need without driving at all? There is also plenty of parking for any size vehicle.